← Here’s a Story of a Story of a Mennonite Girl, and Have I got a Deal for You. 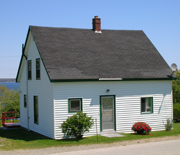 Welcome back to the blog 🙂 I look forward to meeting you this summer in Port Mouton (I bought the house beside the pond),. Meanwhile, enjoy the ski season…. You bought the house beside the pond… where are you coming from? Yes would love to meet. We are at number 60 Carters Beach Road. And the skiing was fabulous.